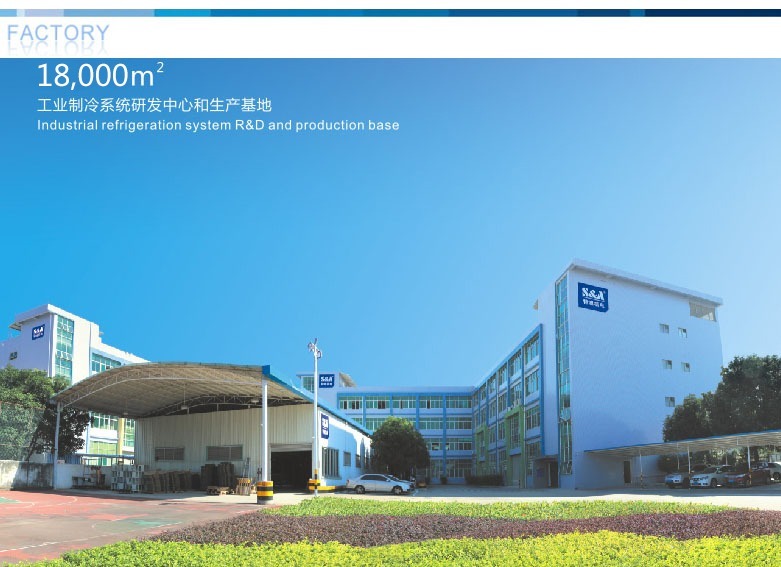 Laser cooling machine CWFL-1500 is the refrigeration type water chiller produced by Guangzhou Teyu Electromechanical Co., Ltd (also known as S&A), a professional China-based water chiller manufacturer with 16-year experience. 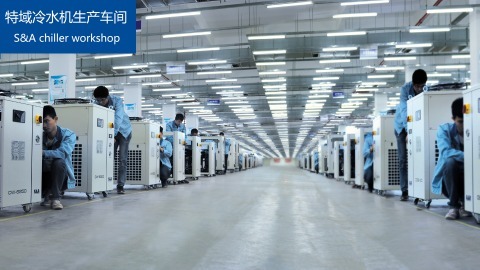 It is specially designed for cooling 1500W fiber laser machines. 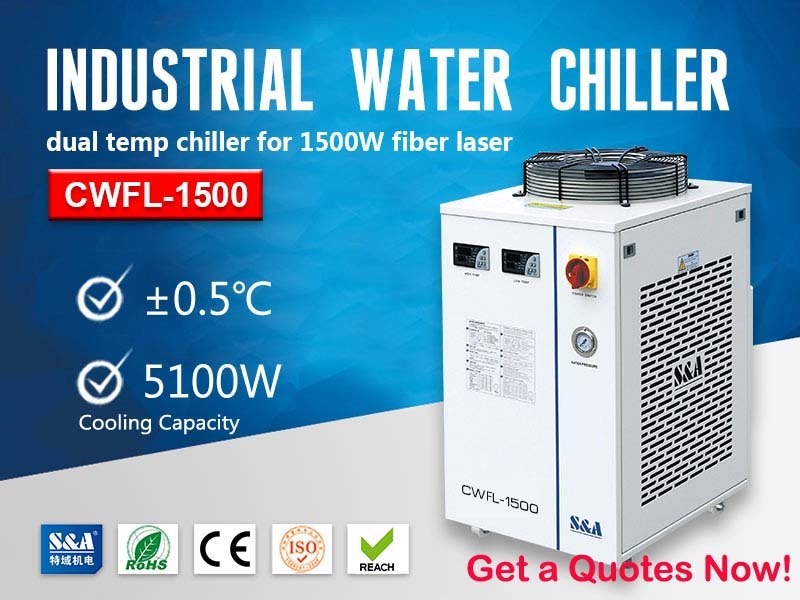 S&A fiber laser water chiller CWFL-1500 features the cooling capacity of 5100W and precise temperature control of ±0.5℃, which can cool down the fiber laser very efficiently and effectively. Being durable, user-friendly with low maintenance and superior cooling performance, it is very popular among the fiber laser users. To meet different requirements of different users, S&A laser cooling machine CWFL-1500 is designed to have intelligent and constant temperature control modes. Under intelligent mode, the water temperature can automatically adjust itself according to the room temperature (the water temperature is generally 2℃ lower than the room temperature), which greatly avoid the generation of condensed water. 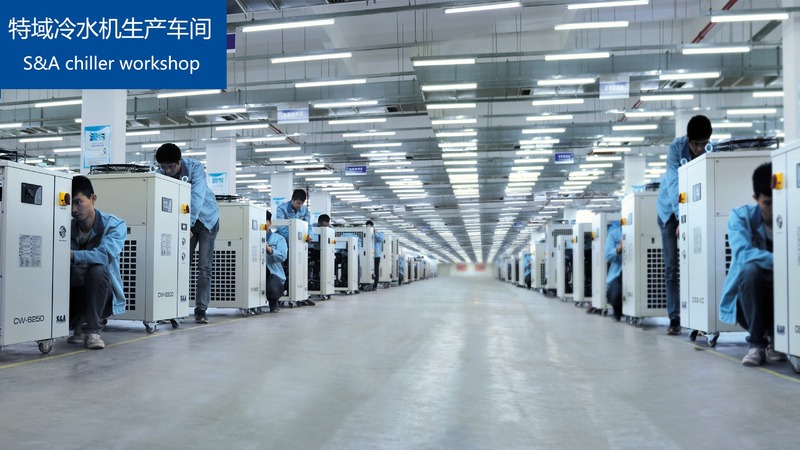 S&A fiber laser water chiller CWFL-1500 is cost saving and space saving, for it has high and low temperature control system which can cool the fiber laser device and the QBH connector/optics simultaneously. It is ISO, CE, RoSH, REACH compliant and under 2-year warranty.